If you’ve been wanting hair that’s soft and smooth as satin with incredible shine our Silky Straight Clip in Hair Extensions are just what you’ve been looking for. Perfect for anyone who prefers to wear their hair very straight and for anyone with naturally silky or fine hair, our top quality lightweight 100% human hair Remy clip in hair extensions will give you the thickness and length you desire whenever you want. Attach them in quickly by sliding in and securing the clips. Slide out the clips to take them out. Wash, dry and style them like your own hair. First of all and the most important is that they are natural hair and let me tell you that the hair is beautiful, without lying, is super soft, finite, shiny and a long manageable. 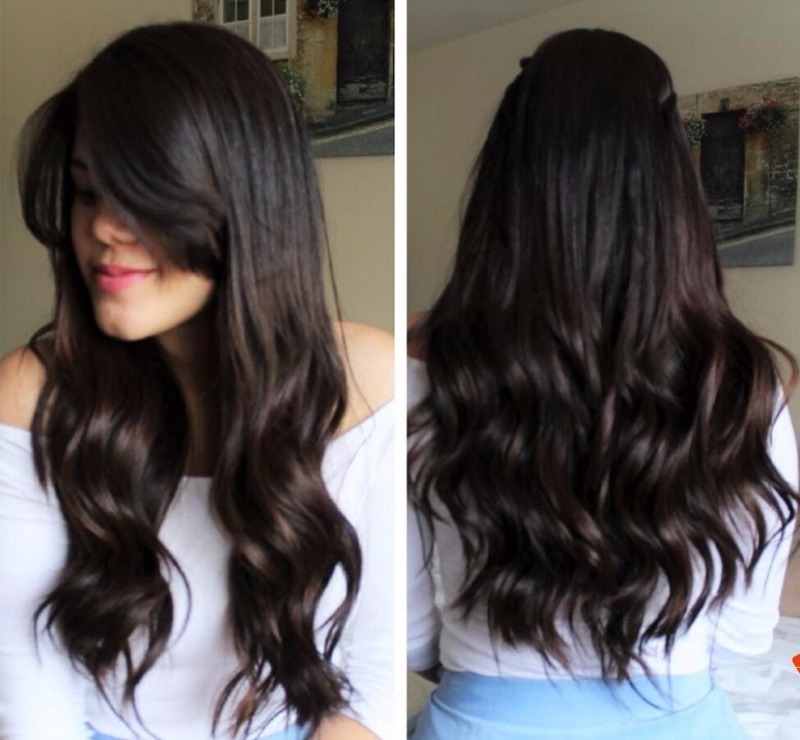 What I like most about these extensions is that when you put them all you do not feel them at all in the head, they do not weigh and the hooks fit perfectly to your hair without pulling it. I can also undulate them and then straighten them again without any problem as if it were my own hair. The service was very good. From the time the order was placed until delivery. The person I spoke to was very kind and the package arrived at the time I was promised.The only thing that took away points was that the package where the extensions came was very mistreated. I do not know if for the sending or that it will have passed. However, the extensions arrived in a good result by the plastic packaging in which they came inside the box. I love this hair it's so soft !